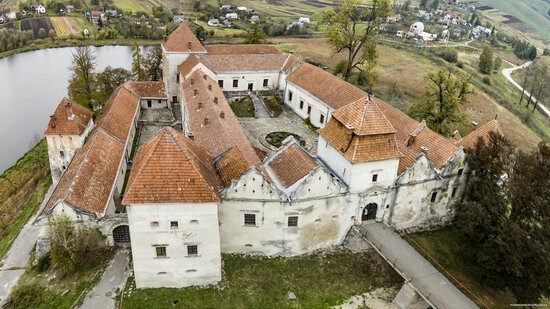 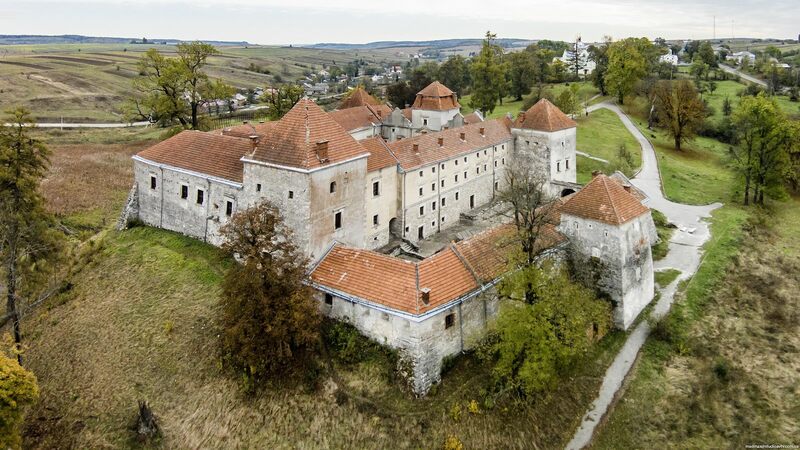 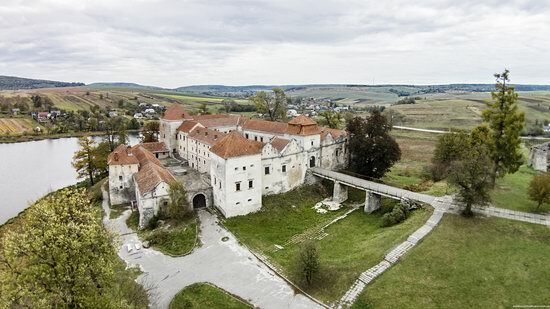 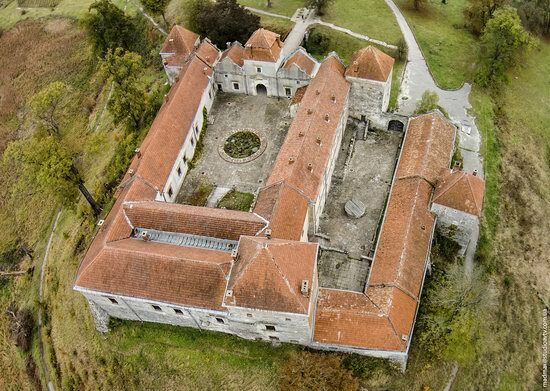 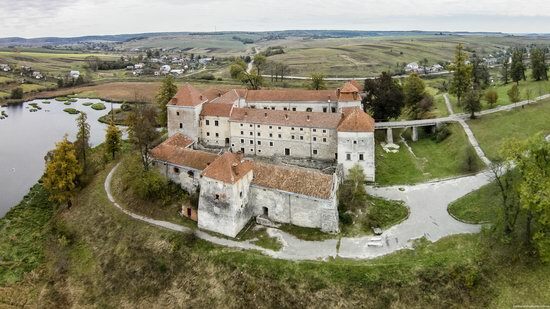 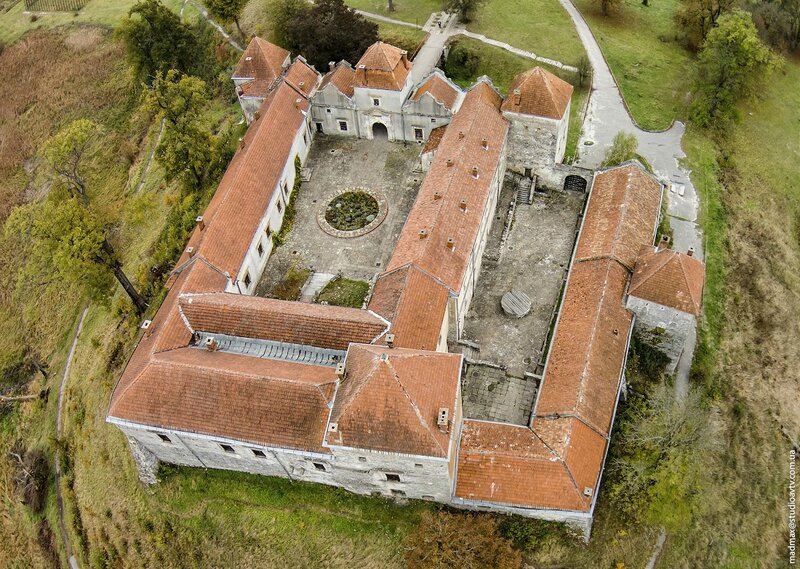 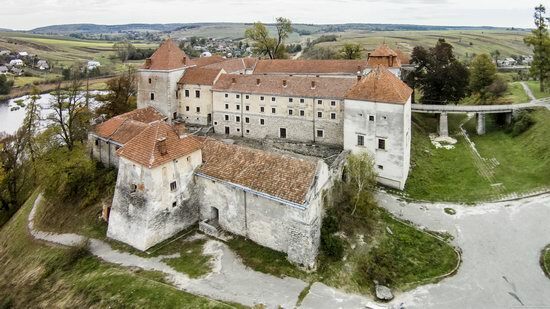 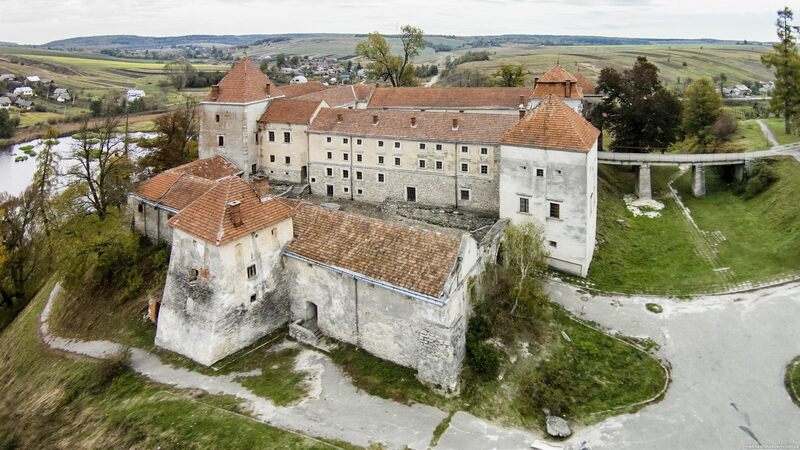 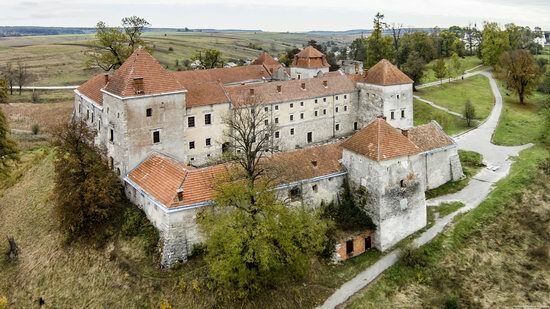 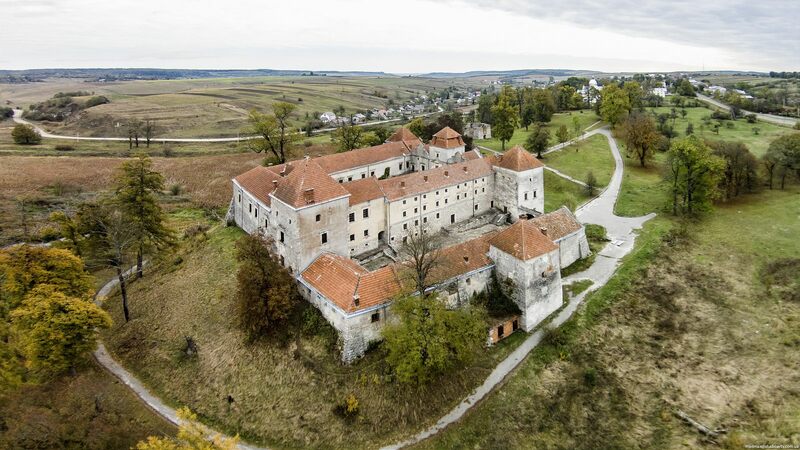 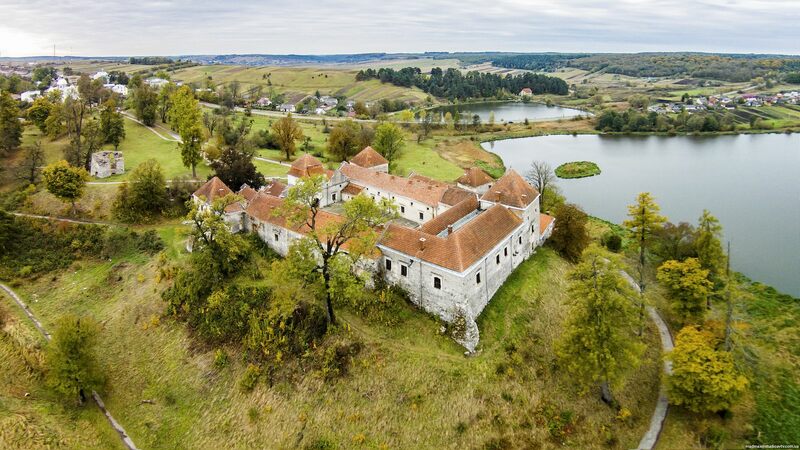 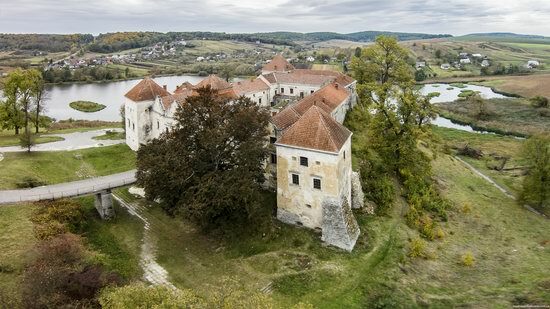 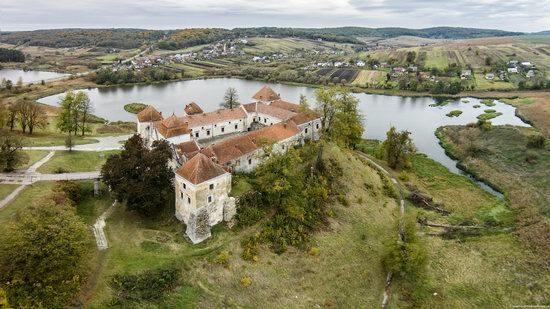 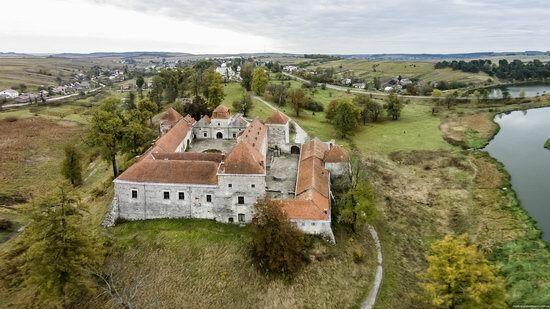 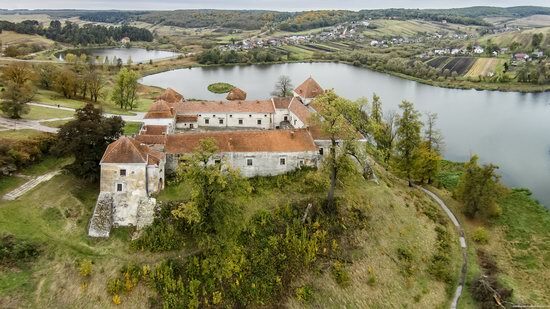 Svirzh Castle, a unique monument of defensive architecture of the 15th-17th centuries, is located in the village of Svirzh in Peremyshlyany district of the Lviv region. 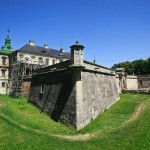 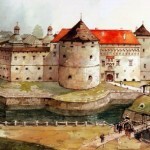 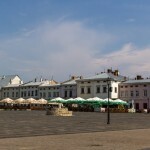 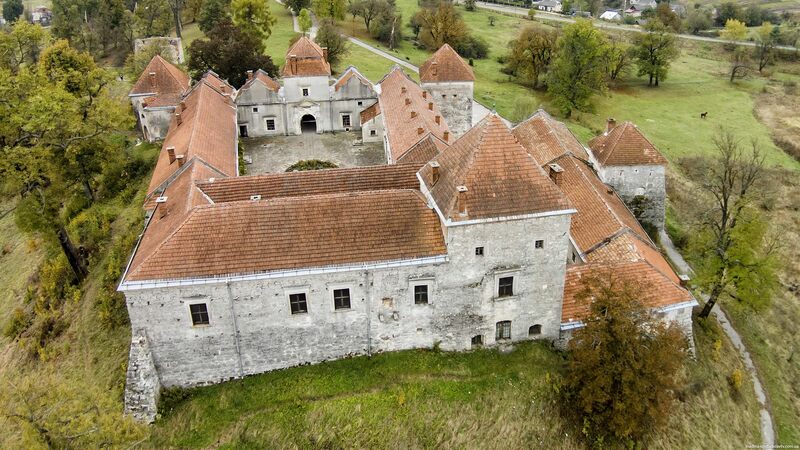 Built as a fortress, the castle lost its original appearance after the reconstruction carried out in the 17th century. 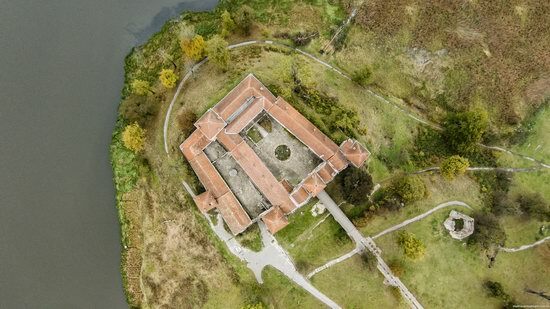 Despite its advantageous location – on a hill surrounded by marshes and lakes – this palace-castle could hardly have a significant defensive value. 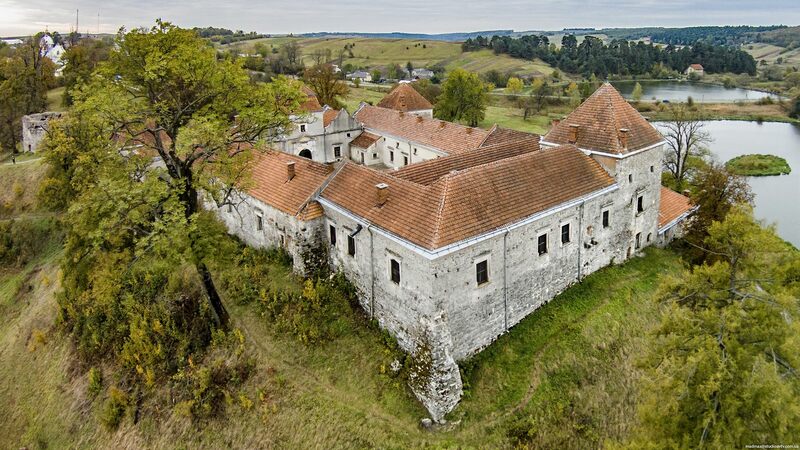 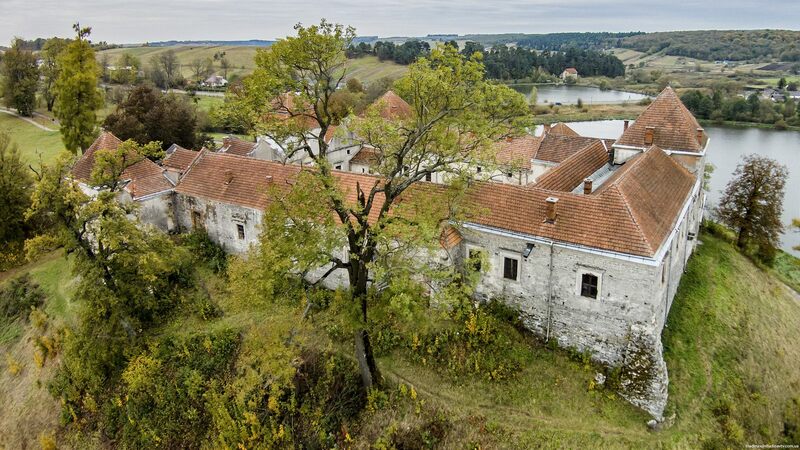 The castle is relatively well preserved and due to its favorable location and harmony of architectural forms it is one of the most beautiful and picturesque castles not only in the Lviv region, but in the whole Ukraine. 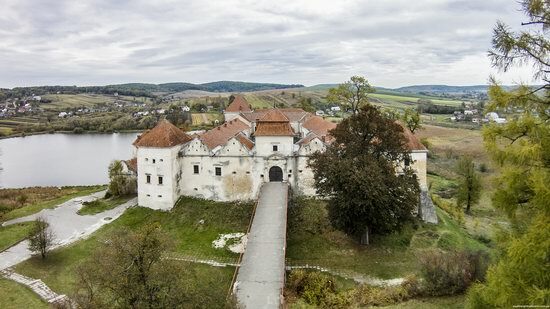 Svirzh Castle on Google Maps. 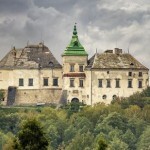 Photos by: Maxim Ritus.